We hope all of your celebrations this holiday season are filled with light and love. Is Your Business the Best it Can Be? Are you and your business using the latest tools and strategies to bring in more business in less time? See the 5 critical (but most overlooked) elements of marketing a business successfully in Patrick’s latest blog post here. Plus, get free access to in-depth training presentation on the 5 critical elements via the link above. Ready to Kick Start Your New Year? Was this year everything you wanted it to be? Discover ‘The 7 Steps to Kick Start Growth’ in Patrick’s #1 Best Selling Book, Revolutionize Business & Life. Access it via the link above for only 99 cents and receive free gifts when you do. p.s. We’ve loved serving our clients this year with their web, video and cross-channel marketing needs (and loved seeing what they said about their results). We look forward to serving new clients you refer to us. Your trust and referrals are always greatly appreciated. What a blast! The boys are awesome. I’ve created hundreds of videos, Patrick, but none more touching than this. Patsy, Thank you & Merry Christmas. Charlie, That means a lot coming from you. Your videos are awesome! 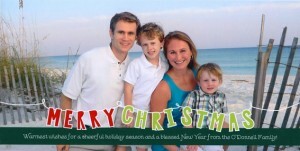 Merry Christmas & Happy New Year from the Hannans! That was a very wonderful video. It is amazing how big they are getting! What a beautiful family! I’ve been looking forward to this year’s video. Didn’t know if it could top last year’s–it was wonderful, too. Love and Merry Christmas to you all. That was great!!!!! Loved it! Merry Christmas to you all and I will see you in 2013. Camille, Gayle, Deborah, Pat. Glad you enjoyed it & yes, they are growing up too fast. Merry Christmas. Loved the video…you are truly blessed. Merry Christmas to your whole family.